When Knowledge Meets the Experience. 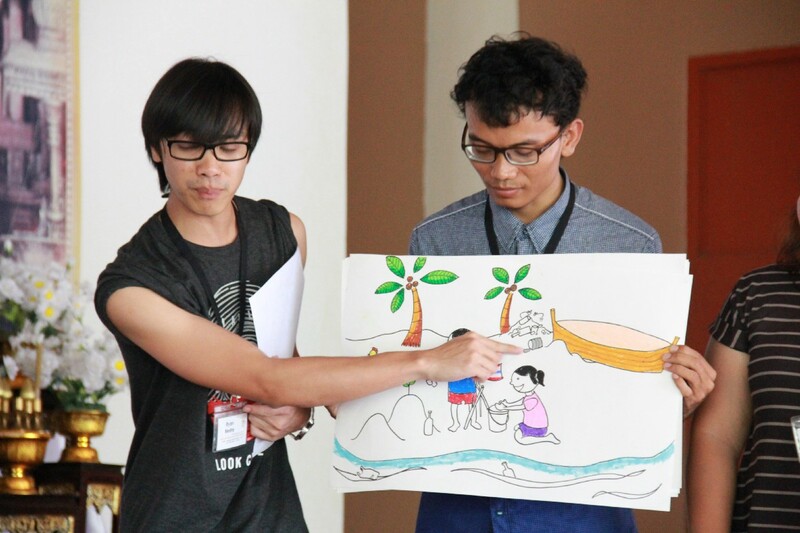 I have always been craving for the “on-site” experience since the age of 10, when I firstly set my mind to devote my life for solving the environmental issue. 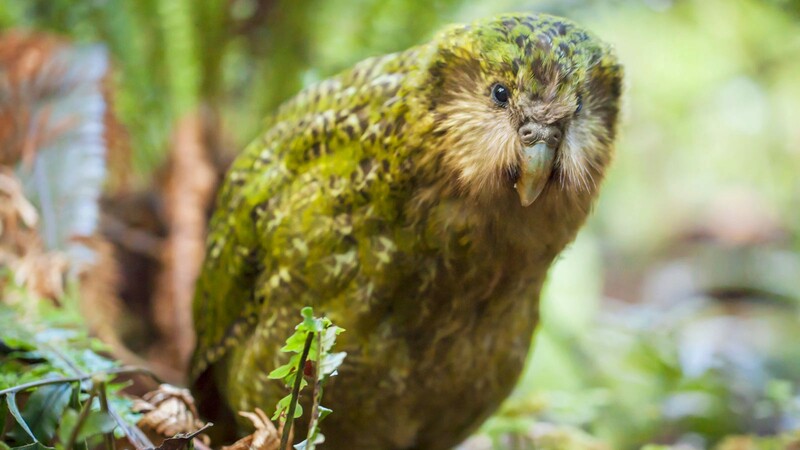 I got into the topic because of an endangered bird called “Kakapo”. I was very depressed to notice that while many species are getting endangered or even extinct because of human activities, we do not feel it or see it in our daily life. Same for the global climate change or any other environmental issues happening. We easily ignore the minor changes we feel from the surroundings, until the very big shock, a disaster, comes. Thus, how I can gain the sense of “what is really happening” and how we can all gain the awareness of “what will happen” and “what we should do” have always been my high interest — and, this HANDs! Project gave me some answers. The 2nd half of the HANDs! 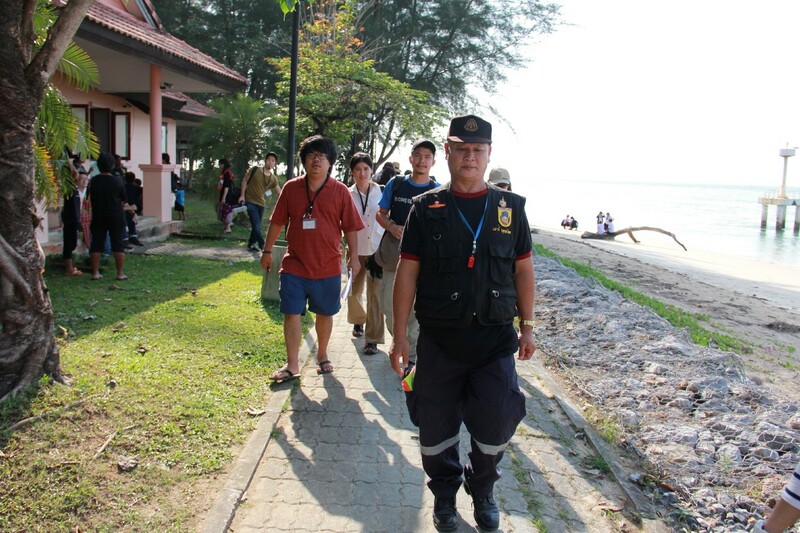 Project Study Tour 2016/2017 kicked off in Phuket, Thailand on March 2nd. 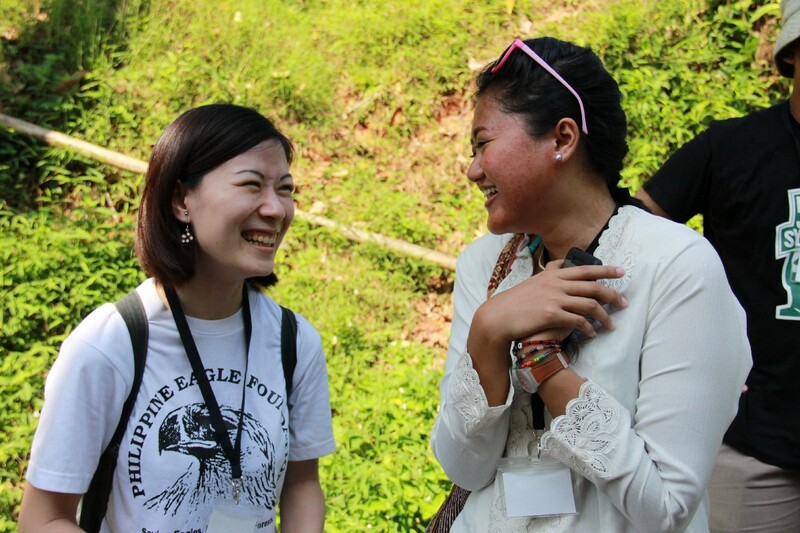 While sharing the joy of reunion after several months apart, 24 fellows firstly headed to Baan Bangla, a local community working tightly on mangrove forest conservation. This area was hit by tsunami, caused by the Indian Ocean Earthquake in 2004. 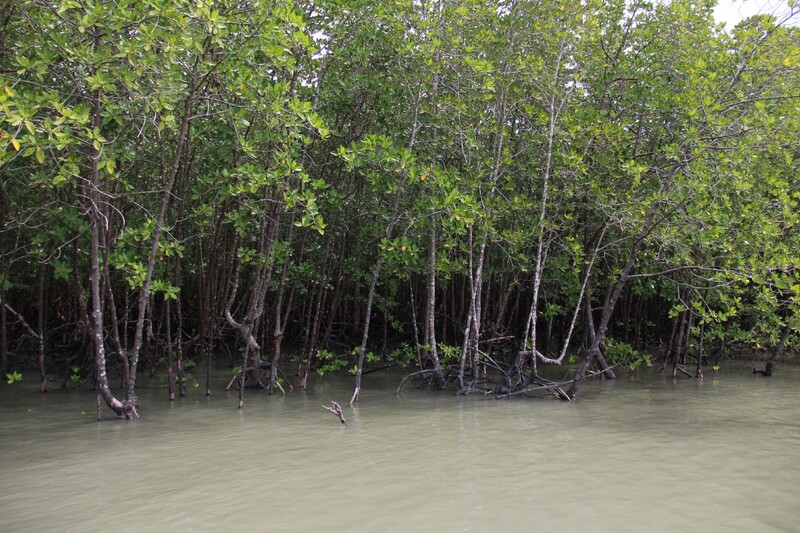 The tsunami wiped out everything, except the area protected by the mangrove. 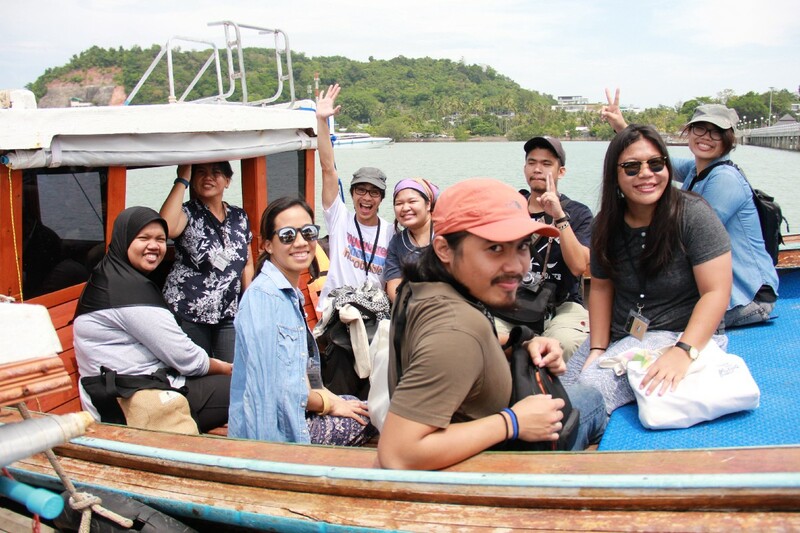 Through the story listening and a dialogue with the local community, as well as the actual mangrove forest tour, fellows learned and understood that the preparedness for disaster is important to be in relation with the daily customs and cultures, for itself to be sustainable. 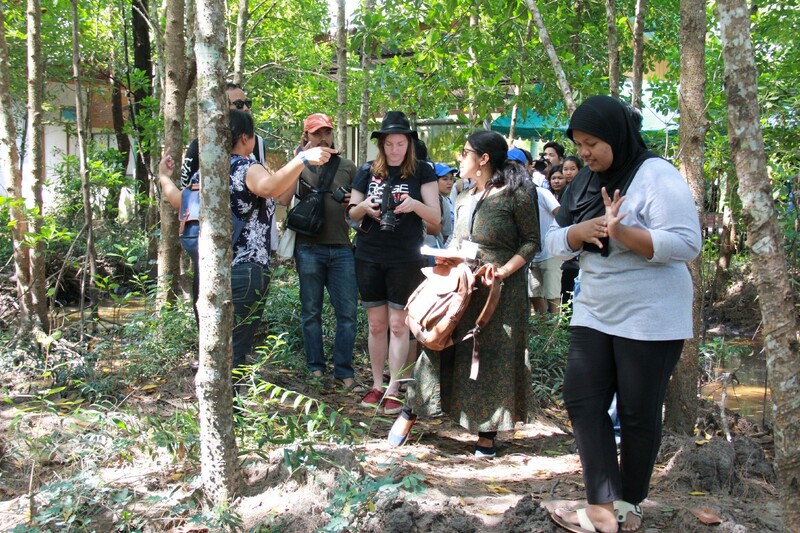 As the mangrove forest play the role not only when a tsunami hit by becoming a shelter for the coastal area, but also being a bed for aqua-farming and local ecosystems, clearing water and the air, being the basis of the local lives. This illustrates the environmental conservation in regular life can save the lives in irregulars under disaster. 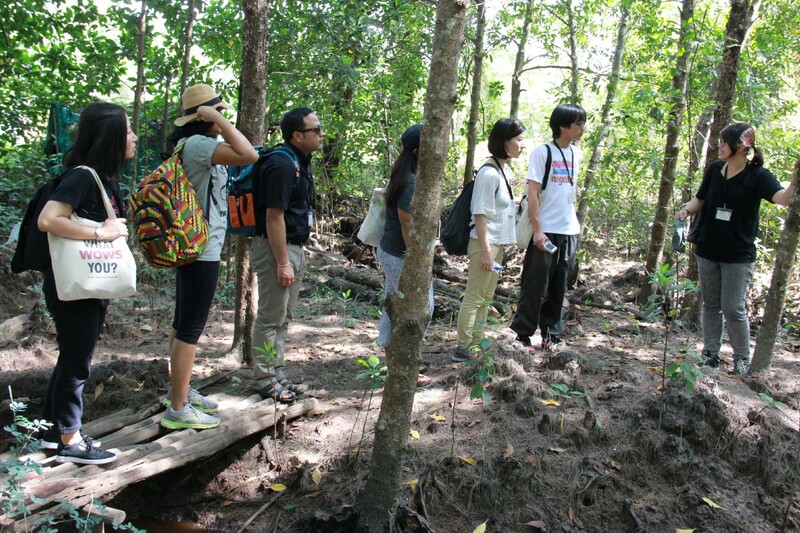 After the mangrove forests, fellows visited the volunteer center in Nam Khem village, where also got hit by the tsunami in time of the Indian Ocean Earthquake. 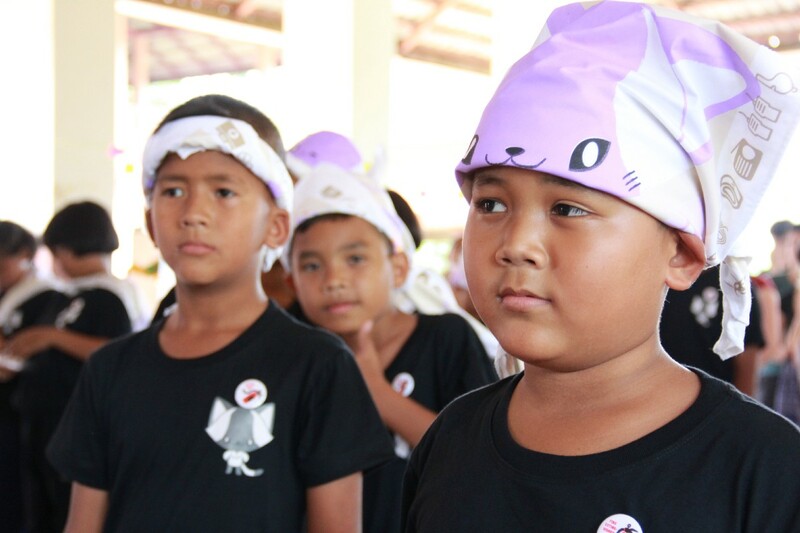 The center is organized by the local Disaster Risk Reduction Team who are trained applying the actual experience from the tsunami. 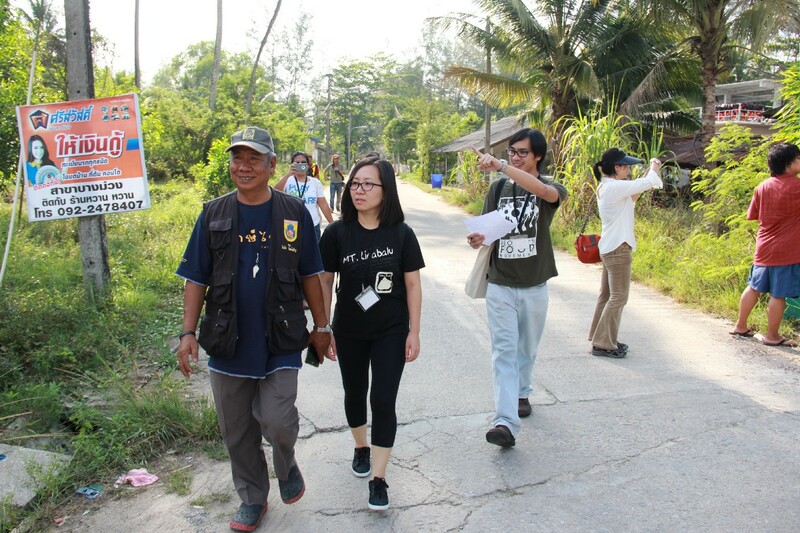 Divided into groups together with a team member from the center into each, fellows had an opportunity to walk around the community as a tourist to see the potential evacuation route, locations and analyze elements to consider in situation of tsunami. 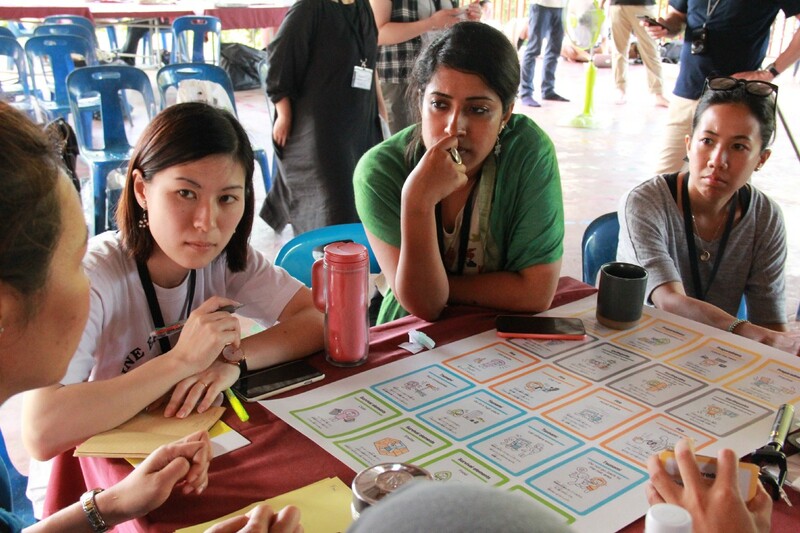 The analysis and observations were shared during the workshop facilitated by alumni of HANDs! fellow after the walk. 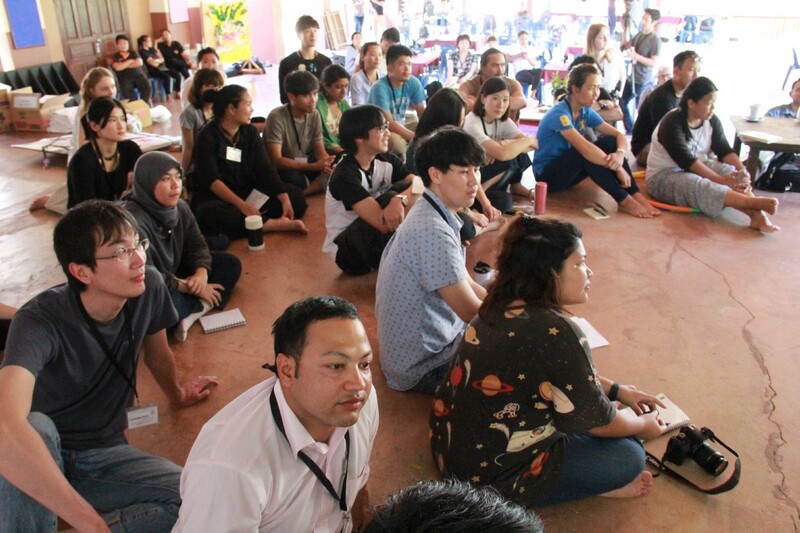 The main part of the Thailand Study Tour was at Yawawit School in Phang Nga. The School was founded for children from various disadvantaged backgrounds to receive high-class education. Almost 4 days of stay at this school really gave the fellows a good opportunity from learning frameworks, customizing them and testing out — the process was a beautiful learning curve that also became my favorite time of all programs of the study tours. 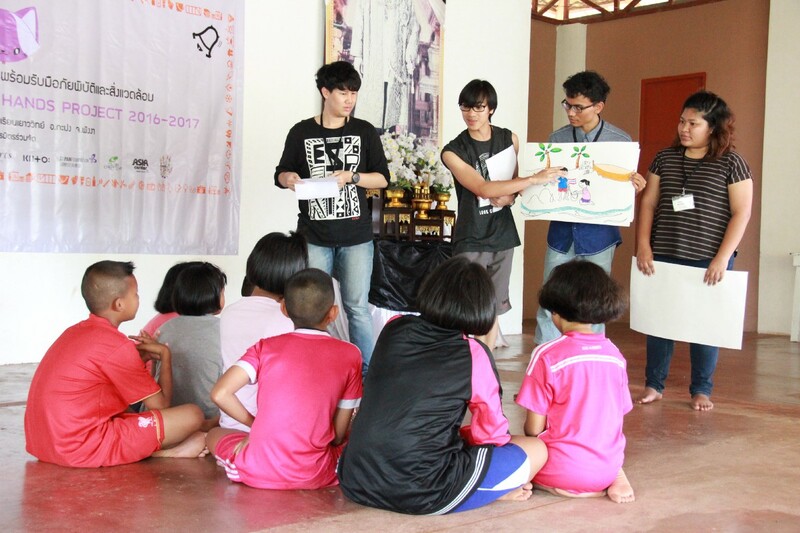 After the introduction to the school itself and several lectures, a session run by Ruttikorn Vuttikorn, game designer and HANDs! 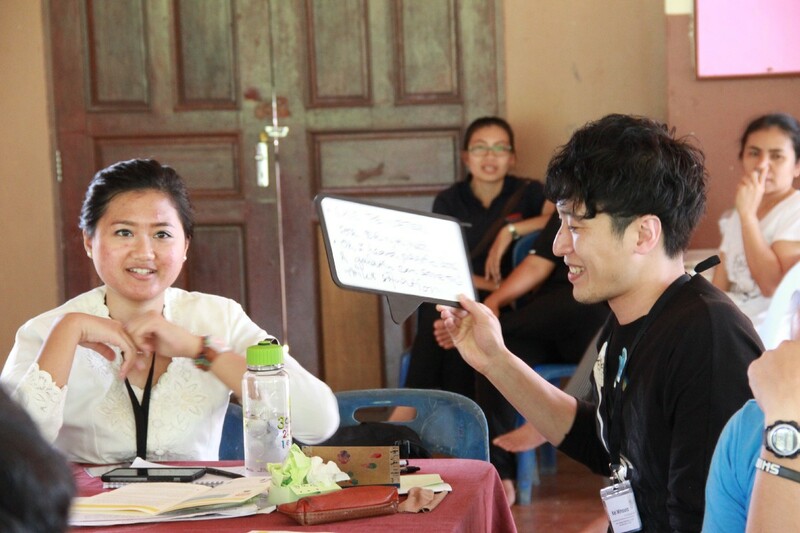 Thailand advisor, had started. The “WOW feeling” slowly grew and heated up my excitements when we’d started playing different types of game as trials. 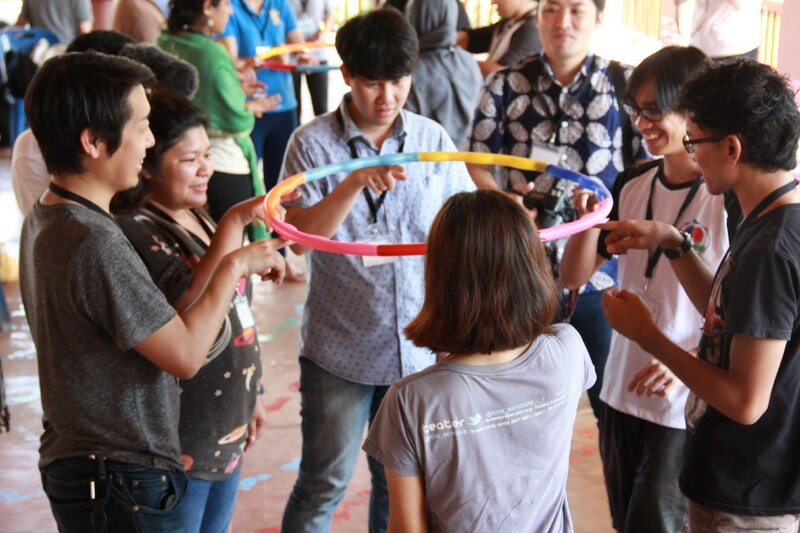 The flow of the session aimed to introduce the concept of “gamification” which brings fun and strong engaging elements towards the educational topics — in this case, the environment & disaster education. 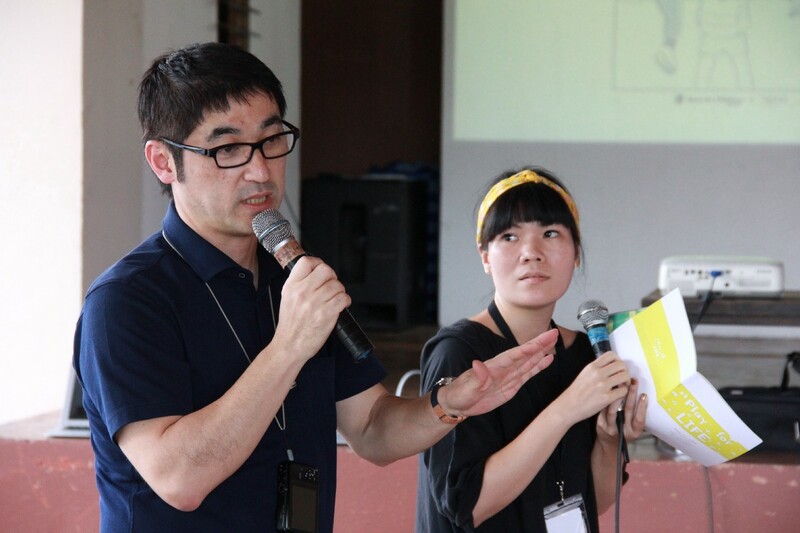 Fellows firstly walked through various types of existing disaster preparedness and awareness educational games designed by Ruttikorn and Hirokazu Nagata, the General Advisor of the HANDs! Project. Some involved storytelling, picture cards, and various ways to engage kids into the key topics — to know, understand, memorize, or think about them. 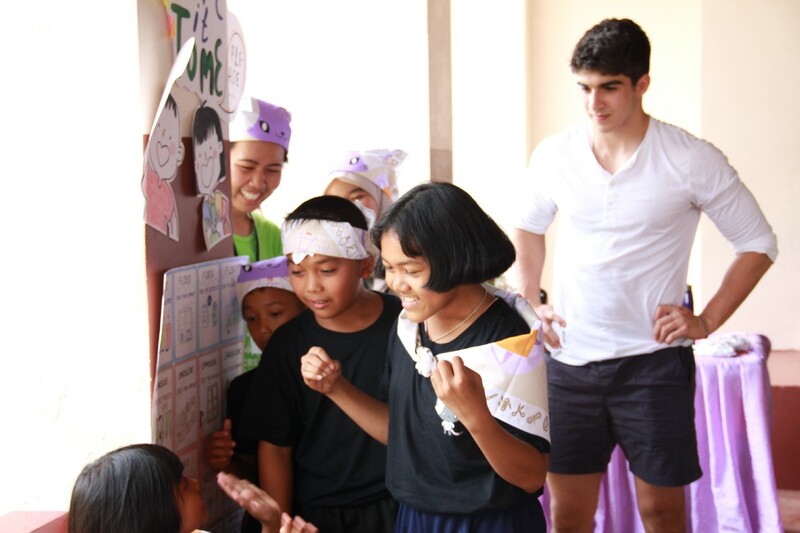 Then fellows were given the mission to choose one existing game framework — then customize it in the Thailand local situation to deliver the fun learning experience to the kids in the school few days after. I was part of the team working on the “memory” game. 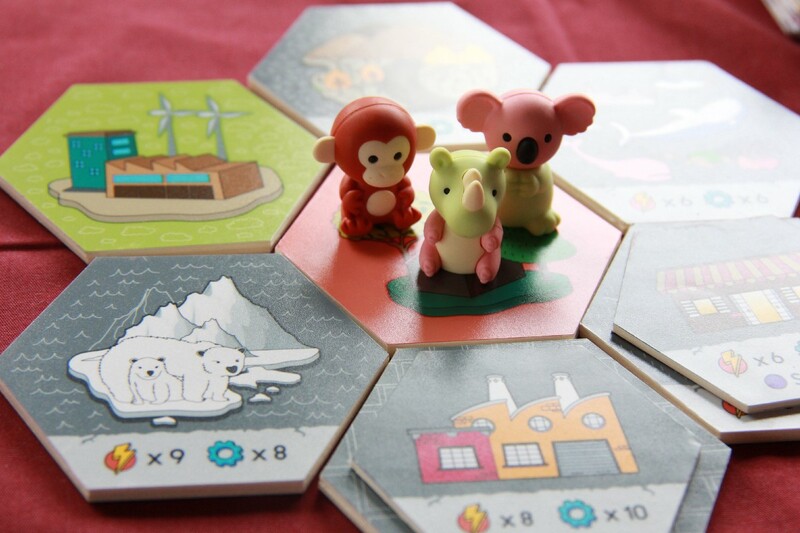 In the game, there are different types of natural disaster and disaster preparedness related topics and elements on cards, and players are to collect 4 sets of cards for each category e.g. “Tsunami” topic cards include: 1. Run immediately, 2. Go to a high place, 3. Let others know, and 4. Do not go back to the risk area. After the 1st prototype is ready, all teams had opportunity to test it out to the “guinea pigs” aka some volunteers of the school kids, so we could try if the instruction is clear enough for them and modify it afterwards if necessary. 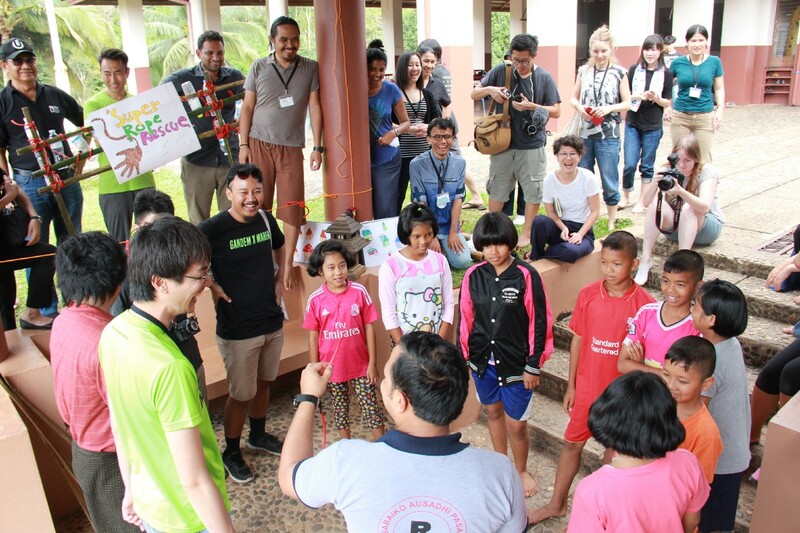 Then, on the last day, we delivered the games to kids in groups for several rounds. Even during this delivery timing, we could modify it round by round to make it better. 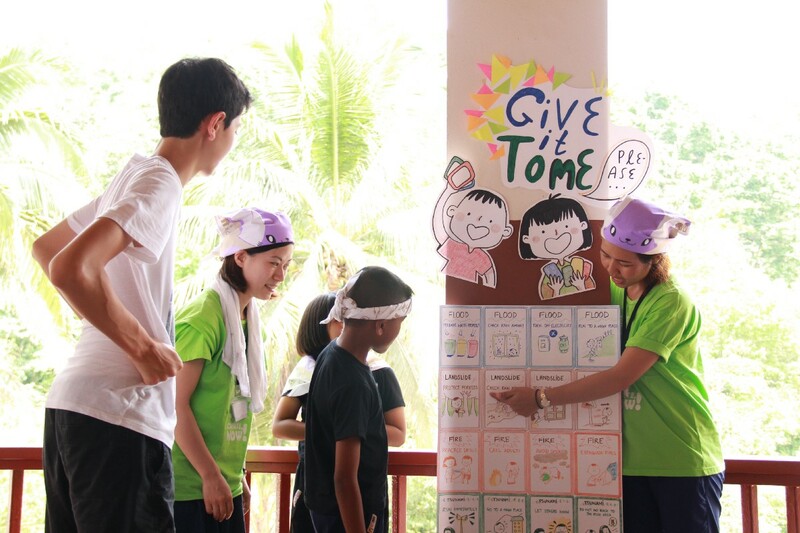 In the end, not only the fact that the kids really enjoyed our game and got into the disaster preparedness topic quite well, but also the learning through the process of localization / customization of this gamification was very exciting and beautiful to me. 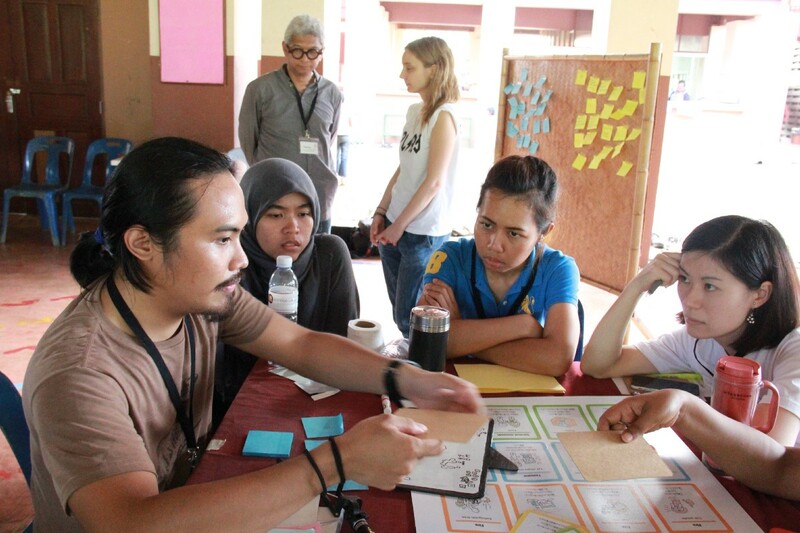 This process of repeating the prototyping, testing it out, and modifying is one of the key factors of good project and product delivery — which fellows could learn strongly throughout this HANDs! study tour. I met the word of “Gamification” first in this study tour. 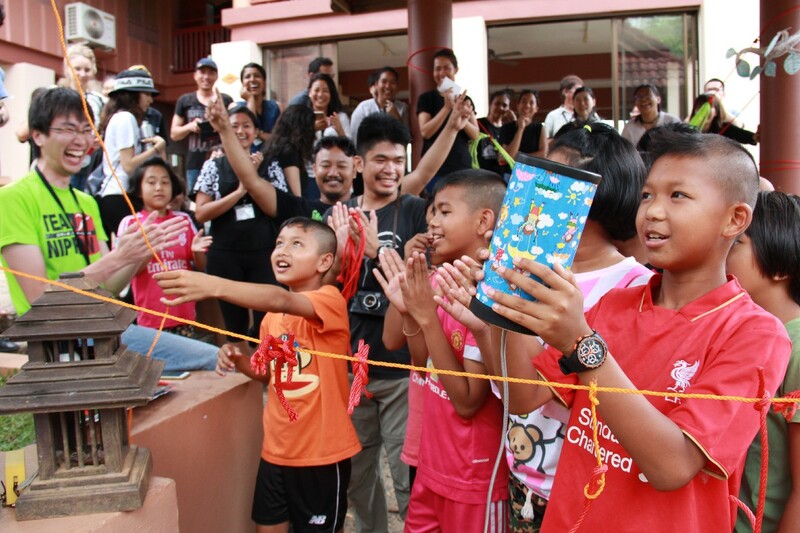 While yes, I knew how important it was to make serious topics like environmental issues or disaster preparedness to be more accessible and familiar by using techniques of fun and engagement — but I hadn’t experienced it by my very own until this time. And also by actually seeing how kids reacts to it, it was an eye opening moment. This study tour was nicely designed that the fellows firstly experience the real ground by ourselves — visiting sites, listening to people and following the path — to get the grasp of “what is really happening” and “what will happen”. And for the “what we should do” part, such techniques like “gamification” comes in with actual practice. When knowledge meets the experience — that is the 1st step for making any topics memorable and stable in minds. I could have learnt this in two levels during this study tour — by visiting sites by my own feet and by delivering the topics as a game. In addition, it was the “shared” experience of 24 beautiful people and more. I believe, such memorable experience is the one that can build the sustainability and resilience into our daily practice of disaster preparedness, and further, to our sustainable future. 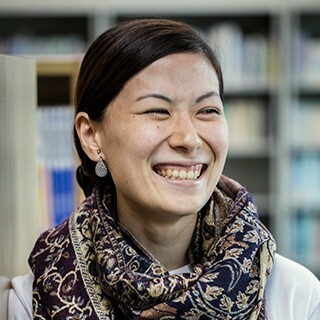 the President of the NPO Zero Waste Academy, works on envisioning not only for having “zero” incineration & landfill waste, but also for community development. The HANDs! 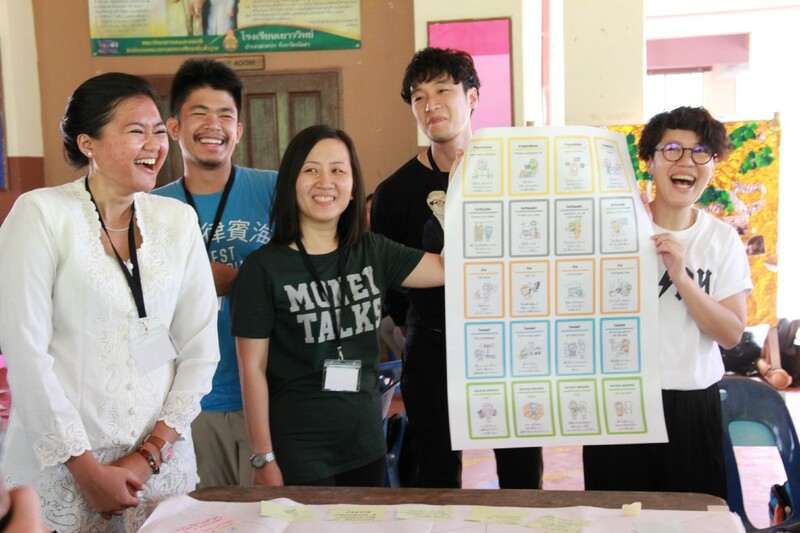 Project is a human resource development program sponsored by the Japan Foundation Asia Center. 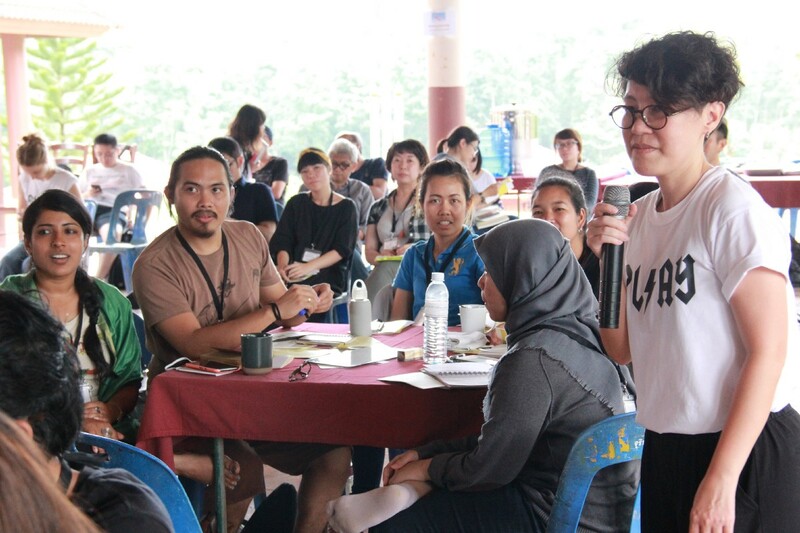 The Project was created as a place for mutual learning, sharing knowledge, and cooperating to solve problems for disaster prevention and support for disaster-affected areas.